A year on from Cardiff Blues’ victory at the inaugural Welsh leg of the Aviva Premiership Sevens, Newport, Llanelli and the Ospreys join us once again at the BT Sport Arms Park for a day of short-sided rugby. After a pretty full on summer last year, playing sevens in this competition’s pool and final stages, the World Club Sevens Tournament at Twickenham, as well as a World 10s Tournament in Singapore and the regular 15-a-side friendlies, it’s been toned down a bit this pre-season, with just this sevens event, and potentially the final, as well as normal season warm-ups against Newport and Bristol. Whether this is linked to a change in the coaching regime, an admittance that last summer was too full on, culminating in that dreadful injury to Owen Williams, or due to the Rugby World Cup is unknown, but I for one think this pre-season schedule is much better for the team. 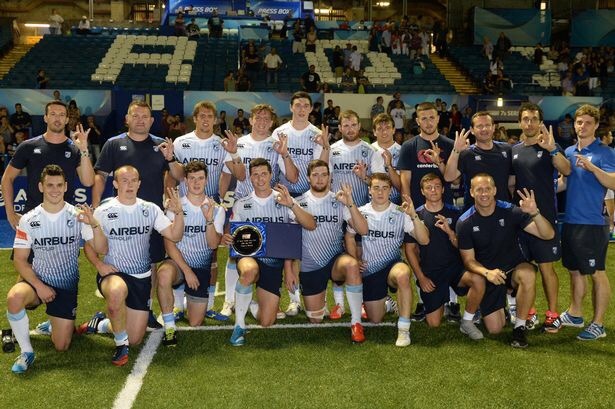 Last year the Premiership Sevens events featured mainly our current and former International Sevens players, as well as several promising youngsters who have grown up playing the shirt sided game, as the Academy players do now, and this season is much the same. Cardiff Blues announced the squad on Tuesday in a typo-strewn article (please ignore any on mine, I’m not paid to do this! ), and although Geraint Walsh is mentioned he isn’t actually in the match day 12, so the team will be made up of; Lewis Jones (c), Ben Roach, Garyn Smith, Owen Jenkins, Harry Davies, Seb Davies, Jarrod Evans, Ellis Wyn Benham, Owen Lane, Gavin Dacey, Mike Hale, Chris Knight. In terms of the more regular first teamers, Lewis Jones captains the sevens team last season, taking over from Richard Smith, who makes way in a younger squad than last season. Joining him is Dan Fish, despite being in the Wales Sevens team for the Glasgow and London legs of the World Sevens Series at the end of last season, and Geraint Walsh, who has featured for the National Team over the years. As well as Fish and Walsh, Adam Thomas, Gareth Davies and Tom Isaacs have turned out for Wales Sevens during their careers, so could’ve been in the frame for a run out on Saturday. Interestingly, Jevon Groves, who signed for Cardiff last summer and featured in the Premiership Sevens finals, but only went on to make two 15-a-side appearances in the LV Cup, isn’t involved at all after being listed as only a WRU employee in the Wales Sevens squads last year, suggesting his association with Cardiff may have ended, despite still being on the squad page of the website. Apart from Lewis Jones, a few straws have to be clutched at to name other regular first teamers, with just 25 senior appearances shared between the squad, minus Jones’ 76. 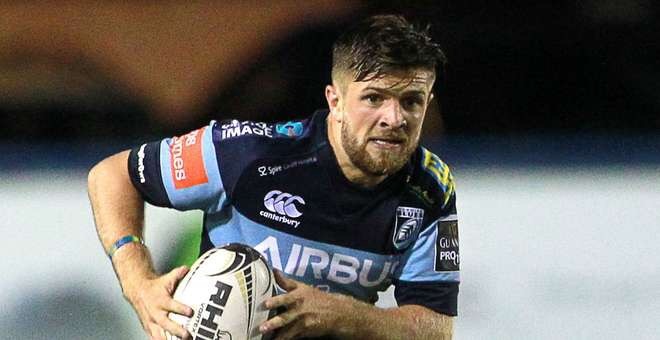 In that sense, Garyn Smith is now rated as a member of the Cardiff Blues team after making three first team starts towards the end of last season, albeit impressive ones. I certainly hope to be seeing a lot more of this season, and learning off team mates with the quality of Cory Allen and Rey Lee Lo can only help him. The last ‘first-teamer’ isn’t even a Cardiff first teamer, with Pontypridd vice captain Gavin Dacey called into the squad, for reasons I’m not completely sure. I mean, we have plenty of Wales Sevens internationals, Richard Smith, Dan Fish and Adam Thomas to name three, so what exactly is the point of giving game time to a non-contracted player? Unless we’re planning on signing him, which would be a grave error considering the success we’ve had with our last few Pontypridd players. So, with not many first teamers on show, it gives an opportunity for plenty of younger players to showcase their skills. Ellis Wyn Benham, Ben Roach, Owen Jenkins and Seb Davies all return again this year to the Sevens side, with each but Benham having gone on to play for the senior side last season. 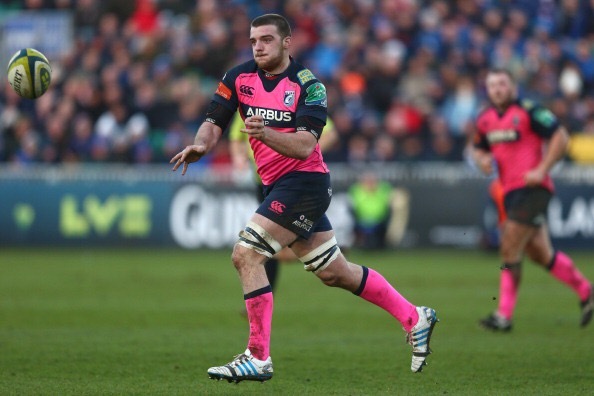 Harry Davies also features in the squad for the group stages, having only played at Twickenham Stoop in the 2014 final. As well as the returning young players, there’s also a number of new faces ready to appear in a blue shirt for the first time, with Jarrod Evans, Chris Knight, Owen Lane and Mike Hale set to make their Arms Park bows. Out of them, Jarrod Evans comes the most highly rated after strong performances for Pontypridd and Wales U20 last season, meanwhile Mike Hale had a strong second season of 2014/15 in blue and black. A word for Owen Lane as well, the second tier academy centre standing at 6ft tall who will be just 17 when he plays for Cardiff on Saturday. All will be hoping to make an impact ahead of the new season, and we can certainly expect to see them turning out for Cardiff A if they don’t quite make the senior team. All in all a very young team, with an average age of just 21 including the 30 year old Dacey, but a very experienced sevens team nonetheless and some exciting young players on show. An excellent day out at the BT Sport Cardiff Arms Park, and it’s good to see rugby back after the summer. A good chance for Cardiff Blues to kick start our season and get some early silverware in the cabinet.